basketballscotland are pleased to announce that Rob Beveridge has been appointed as the new Men’s National Team Head Coach ahead of next month’s Commonwealth Games on the Gold Coast, Australia. Beveridge will work with the National Team when they arrive in his native Australia and brings a wealth of international coaching experience at a crucial time for Scottish Basketball. With Basketball set to make only its second appearance in the Commonwealth Games programme, Beveridge is one of a select few to already have a Commonwealth Gold medal after guiding Australia to success in Melbourne at the 2006 Games as an Assistant Coach. Beveridge’s accolades also include an U20 World Championship Gold medal where he was Head Coach of the Australian National Team. Beveridge’s side were the only team to beat the USA at the Championships in 2003 and set a record for the biggest winning margin in the Finals. 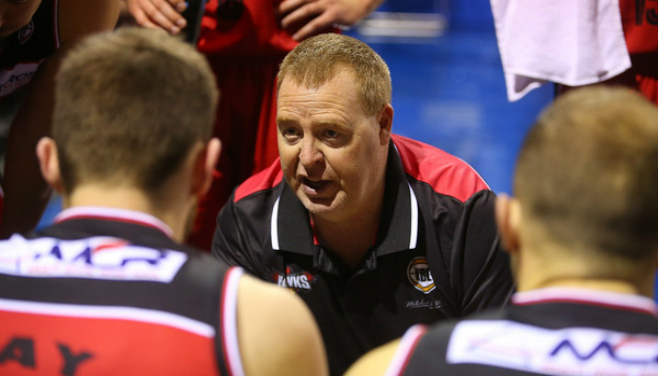 As well as vast International experience, Rob has a wealth of experience domestically, having worked as Head Coach of the Perth Wildcats in the Australian National League and Shanghai Sharks in China’s National League. Beveridge is looking forward to coaching the Scotland National Team and is honoured with the opportunity to coach Scotland as his father is originally from Blantyre.